that can reach one foot wide and two feet long. The plants themselves will grow 3 ft. tall and spread up to 6 feet. that are hooded by reddish purple bracts. 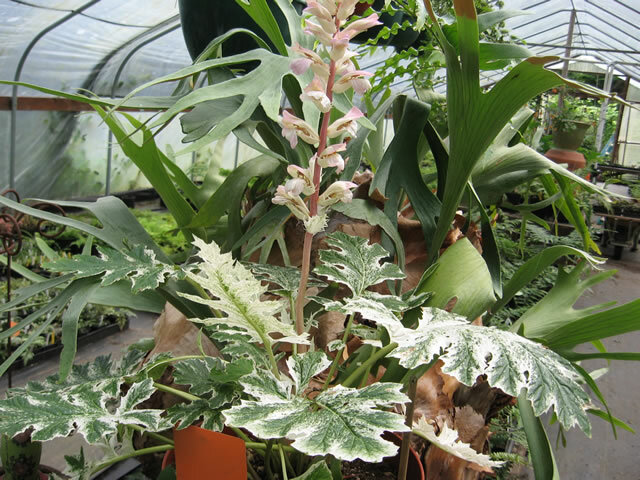 Acanthus spinosus are hardy in zones 5-10. They can take more sun than A. mollis but still need shade in the afternoon. 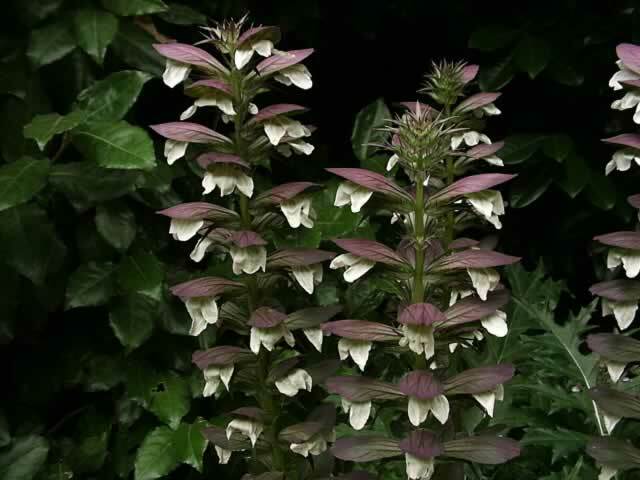 whereas Acanthus mollis has broader, soft textured, glossy green foliage. 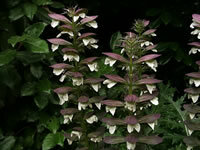 Acanthus mollis are hardy in zones 7-10.
rich, water retaining, well-drained soil. they will need protection from hot afternoon sun. Water regularly and thoroughly when in active growth, but decrease watering when dormant. Side dress with compost or manure. Fertilize in spring with a complete organic fertilizer. 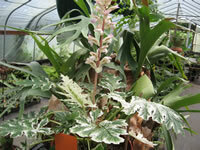 In warm climates, Acanthus mollis may go dormant in late summer, but quickly come back to life when the fall rains return. In colder climates, mulch plants heavily to protect against winter root damage. Deadhead flowers once it has finished blooming to keep foliage looking good. Provide protection from slugs and snails. Established Bear's Breeches plants can be divided in the spring or fall. Any side shoots that come up can be removed and transplanted in early spring. Root cuttings can be taken in late autumn or early winter. Sow Acanthus seeds directly into the garden in early spring, before the soil begins to warm. Seeds can be started indoors at any time. Maintain a temperature of 50°-55° within the growing medium. Germination will take from 21 to 25 days. Acanthus plants reseed themselves readily, forming large colonies.